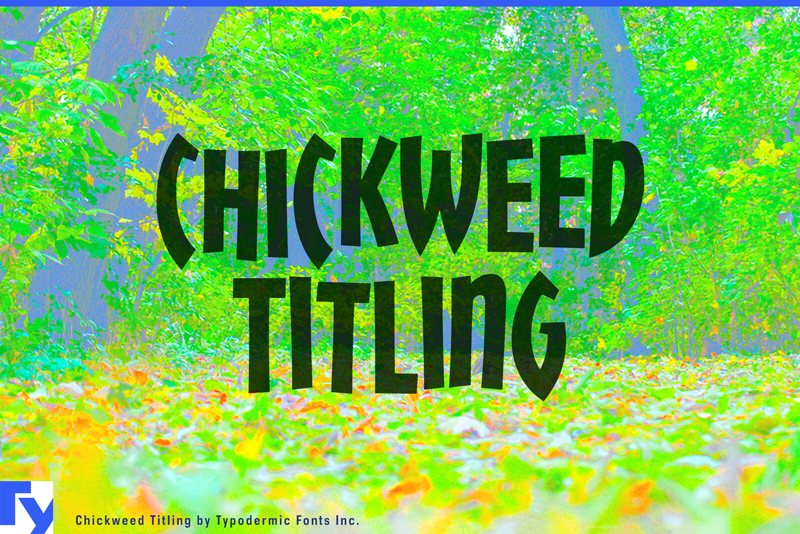 When you want entertaining, casual headlines that take up minimal space, Chickweed is your font. In OpenType savvy applications, letter & numeral variations are automatically shuffled for a more natural, giddy look. If you'd like a version with lowercase, check out the regular Chickweed typeface.